We all have scraps lurking somewhere - some in neatly organized piles, or bags, or baskets or boxes, others in strings or slyly skulking in corners wondering whether they will see the light or not. I can't resist them so when I came across a pattern that looked like it would use up quite a few (see Vicki's here) I knew I wanted to give it a go. And once you get going its a little hard to stop. I thought I'd keep this going until it was close to a bed size. And today I managed to add the borders on so its a finished flimsy. 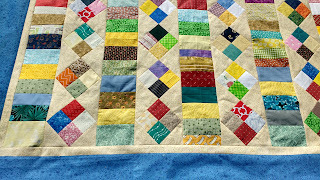 The joy comes from also seeing fabric that has been used in many projects before, that have now found homes. Just keeping a small piece that gets to be included in something like this brings a smile to my face. And it seems that with coin strips, it doesn't really matter what goes next to what, with a neutral background to give the eye a place to rest, all is well. With all that colour going on though, I think a simple stipple may be what is required quilting wise. 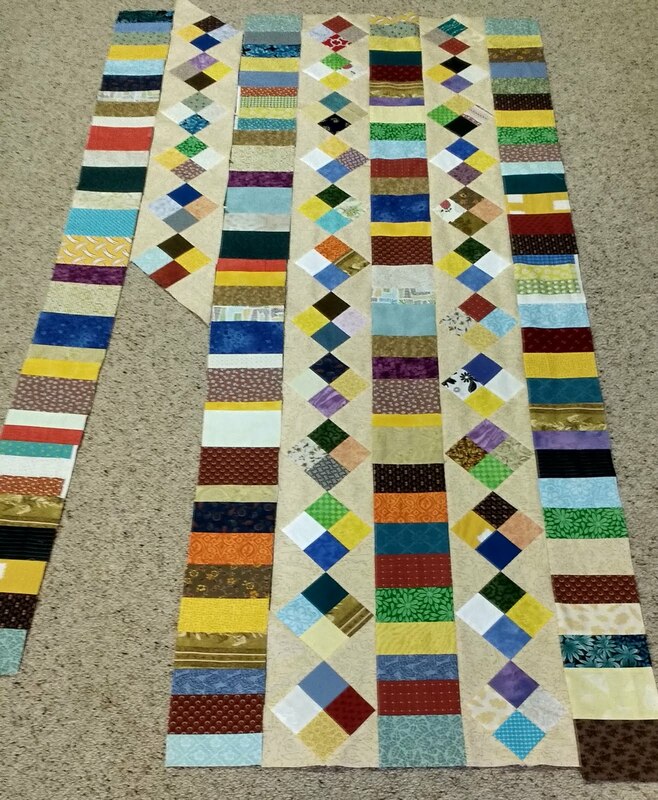 So we'll see how soon I can get some backing chosen and this quilt sandwiched together. Have a happy weekend, this one is a nice way to begin mine. 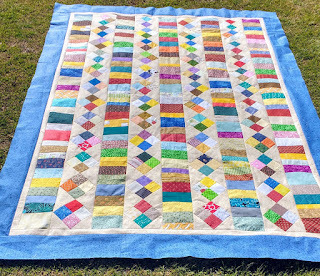 I love this colorful quilt! 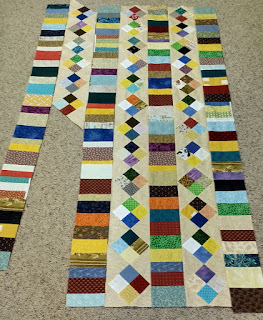 Scrappy quilts are so much fun. You go girl! I really like this quilt. It would be just right for my scrap drawer. Can't wait to see it finished. 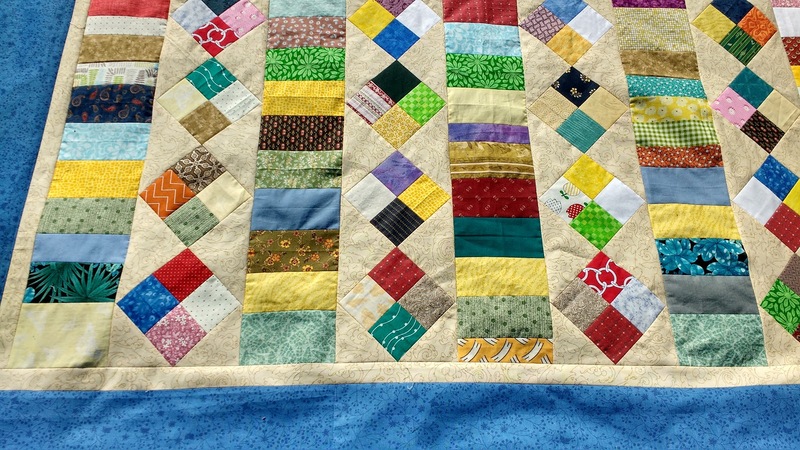 While Vicki's quilt is really wonderful, yours just seems to have an extra spark. LOVE it!!! I've had this post open on my computer for days. 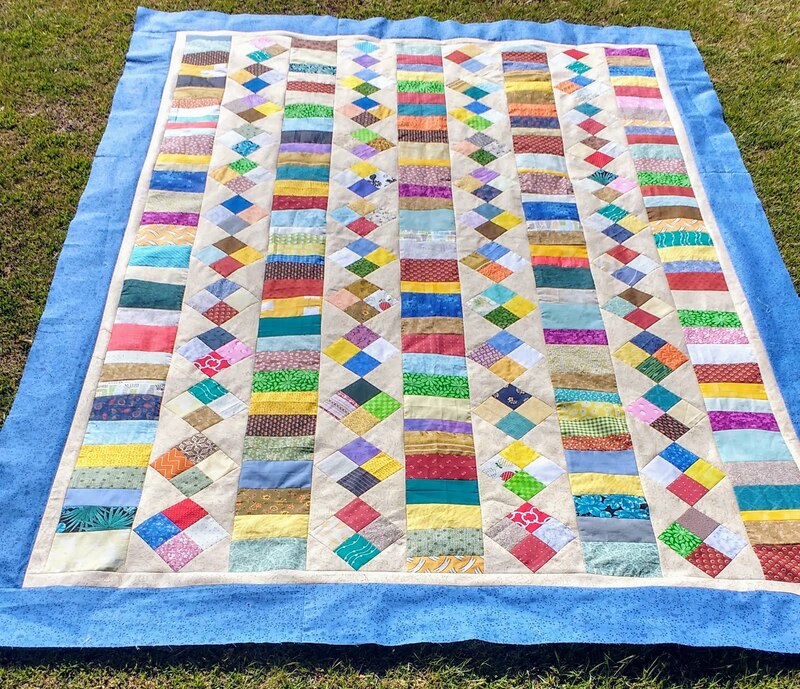 LOVE your (brighter than the inspiration) version of this quilt!! !